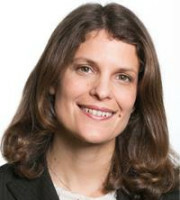 Béatrice Martinet is a partner in Sideman & Bancroft’s IP and brand integrity and innovation groups. Her practice focuses primarily on IP prosecution, counsel, litigation and transactional work in a wide range of industries, including artificial intelligence, technology, software, publishing, pharmaceuticals, food and beverage, and fashion. Her clients include global leaders in these sectors, as well as regional businesses in Europe and the United States. Ms Martinet graduated with honours from the University of Paris II and Libera Università Degli Studi Sociali in Rome and continues to collaborate with Stanford University as a Transatlantic Technology Law Forum (TTLF) fellow. Her TTLF thesis, “Internet Intermediaries’ Liability for Copyright and Trademark Infringement: Reconciling the US and EU approaches” has been published on the Stanford Law School website. Ms Martinet has particular expertise in the management of complex transatlantic business and IP issues, as well as internet service providers’ liability issues. She writes and speaks extensively on EU trademark matters, infringement on online marketplaces and brand protection of luxury goods. 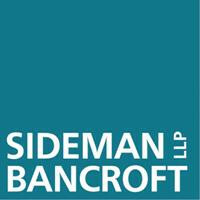 Before joining Sideman & Bancroft, Ms Martinet practised for 10 years in France, notably in the Paris IP departments of two large international law firms: Salans (now Dentons) and Bird & Bird. Ms Martinet’s native language is French; she is fluent in English and Italian and conversant in Spanish. She is certified to practise in California, France and Europe.